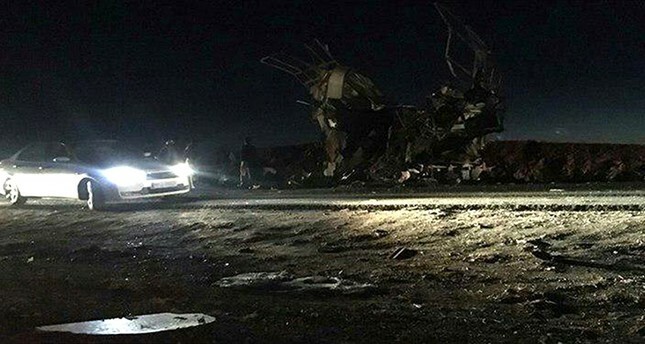 Iranian state media have blamed the al-Qaida-linked terrorist group Jaish al-Adl for a bus bombing that killed at least 27 members of Iran's elite paramilitary Revolutionary Guard and wounded 20 more. Other semi-official news agencies also reported Jaish al-Adl, or "Army of Justice," had claimed the attack. The attack Wednesday struck Iran's southeastern Sistan and Baluchistan province, where the group has launched other attacks. "In this suicide attack a car filled with explosives blew up beside a bus carrying a unit of the Guards ground forces causing the martyrdom and wounding of a number of the protectors of our Islamic homeland's border," the statement said. The volatile southeastern province has a large, mainly Sunni Muslim ethnic Baluchi community which straddles the border with Pakistan. On Jan. 29, three members of an Iranian bomb squad sent to the scene of an explosion in Zahedan, the capital of Sistan Baluchistan province, were wounded when a second device blew up as they were trying to defuse it, police said at the time. And in early December last year two people were killed and around 40 others wounded in the port city of Chabahar, also in Sistan Baluchistan, in an attack which Foreign Minister Mohammad Javad Zarif at the time blamed on "foreign-backed terrorists."